If you are coping with prostate cancer, you may believe the only solution is fast and aggressive treatment. But for some patients, this is not always the most beneficial course of action. Many men with prostate cancer will not need treatment at all, and this is where alternative options such as watchful waiting come in. Watchful waiting is a way of monitoring and managing pre-cancerous conditions or slow-growing cancers, such as prostate cancer. The method involves closely observing a patient’s condition without providing active treatments, such as radio or hormone therapy. These treatments are only recommended if certain symptoms should appear or develop during the watchful waiting process.In a society so familiar with active or immediate disease treatment, an approach like this may sound unusual. But it is far from simply ‘doing nothing’. A patient agreeing to watchful waiting may still require regular check-ups, blood tests, and scans. The process also involves spotting and recording any symptoms, changes or issues experienced over a period of time. 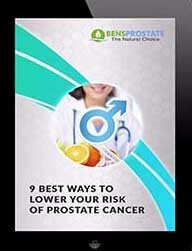 This can lead to recognizing harmful signs of prostate cancer early on and dealing with them quickly. As the name implies, watchful waiting is about being aware of prostate cancer and any potential developments that can occur. And there are several huge benefits to this approach. A major advantage of watchful waiting is this: No side effects. A stigma surrounding cancer treatments is the side effects they can cause. And while a majority of these side effects are not long-lasting, they can sometimes be unpleasant. For example, radiotherapy is a common treatment for prostate cancer. But the potential downsides such as sore skin, hair loss, and fatigue may be off-putting to some patients. Patients with early or slow-growing signs of prostate cancer: conditions that are not causing immediate symptoms or health concerns. Patients aged 50+, or patients with pre-existing health problems, who may be less able to cope with certain therapies. Watchful waiting can keep prostate cancer in check without needing to go through unnecessary, immediate treatments. And this can be a lifelong benefit. This leads us to the next benefit: low cost. This advantage speaks for itself. Because there are few biopsies and other such treatments involved in watchful waiting, it is the cheapest approach by far. And it may have psychological benefits. With no side effects or high expenses, watchful waiting has psychological benefits as well as physical. Dr. Julia Hayes at the Dana-Farber Cancer Institute, Boston, conducted research that focused on patients with early prostate cancer. She weighed the lifestyle benefits of watchful waiting against those of more active treatments like radiotherapy. Hayes found that watchful waiting seemed to improve patients’ quality of life, as well as their attitudes towards their condition. She concluded that this outcome was because watchful waiting involves less testing, less intensive monitoring, and fewer hospital visits overall. Watchful waiting means fewer hospital visits. Transport to and from hospitals can be a concern for many people, especially during the winter months. Since watchful waiting does not include therapies or surgeries, it can significantly reduce the number of hospital visits needed. In some cases, watchful waiting can simply involve keeping an at-home record of any changes or symptoms. It is therefore a particular benefit for patients who are less able to travel. However, it is recommended to make an appointment if any problems or concerning symptoms arise during the watchful waiting process. Less risk of developing resistance to future medications and therapies. Resistance occurs when a disease becomes tolerant to certain medications or therapies. And undergoing a treatment over a period of time creates the possibility of developing this resistance. Thus, as a patient’s body becomes accustomed to a particular treatment, the effectiveness of it can begin to wear off. Watchful waiting is all about observation and awareness. Because the patient does not undergo medication or therapy, the cancer does not develop a resistance to them. Therefore, if certain symptoms do begin to appear or change, there is a greater chance for possible treatments to take effect and combat them in the future. Should I choose watchful waiting? Generally, watchful waiting can provide peace of mind for those with early signs of prostate cancer. The approach revolves around being alert to the possible changes and symptoms, and this can also mean identifying and dealing with the cancer before it has a chance to develop. Watchful waiting and its benefits can massively improve prostate health and awareness for patients in the long run. But it is important to take the time and familiarise yourself with the pros and cons if you are considering this approach. It may be helpful to speak with others who are in a similar situation or who have experienced watchful waiting before. Their input may determine whether watchful waiting is the right step for you to take personally. Remember: If you are unsure about moving forward with watchful waiting, always seek advice from your doctor and discuss all available options. Hi George, a biopsy can have a number of negative side effects. 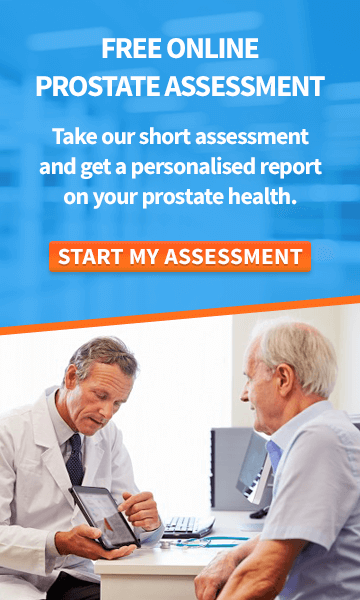 See this article which provides an in-depth insights as to what a biospy is and the effect it have=> https://www.bensprostate.com/prostate-biopsy-safe/. It is good to hear that you have ordered All About The Prostate, are following the dietary changes and taking Total Health. It may be best to call our support team on the toll free number +1 888-868-3554 so that we can discuss your situation in further detail. Wishing you good health. Is there a way to test yourself for urinary infection without making doctor appointments that take forever to book?Even if I had to buy a microscope, I need to know what I’m looking for. It can’t be rocket science. Yes, there are in fact at home UTI strips you can buy which means you don’t have to make an appointment. Instead you can ring your doctor with your results, and then your doctor will be able to advise you on the best next step. Just type “at home UTI test” into Google and you’ll get lots of different options you can choose from. There is an average PSA level, which is a good indicator at any age, but if you’re experiencing symptoms, even with a low PSA, you may have BPHGenerally, over the age of 60, a PSA under 4 indicates no presence of BPH. Biopsies have a number of serious side effects which you can learn about here http://www.bensprostate.com/prostate-biopsy-safe/ and are not advisable at all. Read the article which will help inform you and please get in touch on our toll free number +1 888-868-3554 if you have further questions. Wishing you good health. Are balsamic vinegars a good choice for homemade salad dressings or is there to much sugar in it?? Hi Jimmy there seems to be no evidence that balsamic vingear is bad for your prostate health and it may contain antioxidants which eliminate the free radicals. Opt for good quality options and avoid store brought salad dressing which tend to be high in hidden sugar. Hi Huges, could you please get in touch with our support team via our toll free number+1-888-868-3554 so that they can best advise you. Wishing you good health. Is there another method other the traditional biopsy to check for cancer? 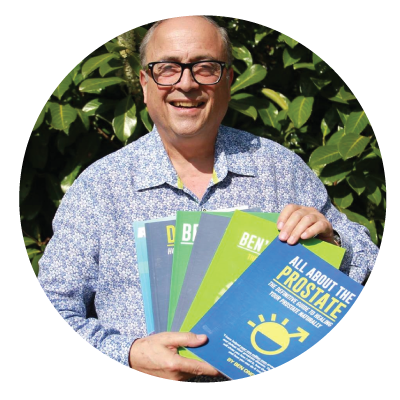 Hi Kelvin, there are non invasive alternatives to a biopsy, which you can read about in this article http://www.bensprostate.com/prostate-biopsy-safe/ Hope you find it informative and if you have any further questions please get in touch via [email protected]. Wishing you good health. Ok Ben the specialist wants me to have a biopsy based on psa of 3.8 then 5 then 3.4 over a couple of months age 60. However I have started a programme of your prostate healer,prostate power and total health are there any other recommendations.I am due for another set of psa checks in a few weeks? Hi Nick, firstly, great to keep on top of your PSA, and try to avoid biopsies. Secondly do implement our diet advice, cut out caffeine, alcohol and sugar. Try to cut down on dairy and processed foods, and go for a walk or light exercise every day or two. To give our supplements the best chance to work, you have to avoid damaging your prostate any further, which the wrong lifestyle or diet absolutely will do. I have a couple of nutritionists on staff who will be happy to guide you further, and our experts in the customer service team will be happy to help. Just drop an email to [email protected] and we’ll give you everything you need to get better, faster. Wishing you good health. I have had PSA ranging between 28-31 for the last two years, but two days ago it jumped to 41. However my urologist suggested watchful waiting. Though am scared. Pls advice. I have done ultrasound it was negative, have done MRI also negative for cancer. Hi O.Jane, that obviously is a high PSA and indicates an enlarged prostate, but a short term spike is likely to be prostatitis or a similar infection. In fact even prolonged sitting can cause a spike in your PSA, or eating the wrong foods. Especially given your high PSA, a 25% increase that might only translate to a couple of points in someone with a PSA of 8, means a jump of 8-10 in your case. There are pretty easy tests for bacteria in your urine, I would suggest you get that tested before worrying. It may also be that you’re genetically predisposed to a high PSA. If you’re not finding anything to be concerned about on your ultrasound or MRI, then that’s fantastic news. I’m also really pleased that your Urologist is recommending a sensible course of watchful waiting. In the meantime, there are loads of dietary, lifestyle and supplement decisions you can make to help bring down your PSA naturally. If you have any further questions please get in touch with [email protected]. What medication do you recommend while watchful waiting?